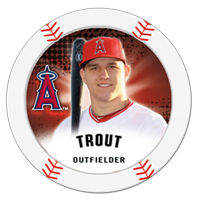 2013 Topps MLB Chipz goes all in, bringing the poker chip concept and giving it a baseball spin. While they don't look or feel like traditional baseball cards, they use a very similar format. Sold in packs of four, the 2013 Topps MLB Chipz set features 100 players. Besides base versions, there are four different parallels: Glow-in-the-Dark (1:2 packs), Gold (1:3 packs), Magnetic (1:4 packs) and Silver (1:4 packs). 2013 Topps MLB Chipz also includes some hits, although they're rare. Ten Relic Chipz are numbered to 50. The checklist includes eight current players as well as Brooks Robinson and Tony Gwynn. Collectors also have a chance at finding Autographs (#/25). The list of ten signers is highlighted by Buster Posey, R.A. Dickey, Jose Bautista and David Wright. 2013 Topps MLB Chipz packs also come with one game board and a team sticker. DEREK JETER 2014 TOPPS CHIPZ #48 BLUE Silver 2013 Base YANKEES (4) RARE! It will be an interesting product. Wonder what they’ll do for items such as printing plates. I admit that it is interesting, but I am a huge Ryan Brain collector and there is only one “chip” and some variations. I would have liked to have had a larger set and defiantly more than ten Autos. Then again it wouldnt be that hard to complete this set. The chips themselves tho look rather blah. Reminds me of wishing for a Young coin in the 80″s! Lol That’s Braun not Brain and Yount not Young. Never has Astros players. Glad I dont have to waste my money. Looks like an awesome product! I’ll be getting a case of this when it comes out. I try to look for products that are different and not too bad on the wallet. I wish there was more info on what the “Instant Winner” chipz might be. It’s an interesting product. My fianc� and I like it because it’s different and it’s a cheap set to build. I would like to see Topps make relics or autographs more available in the future. Overall, we are enjoying it and hope they continue it with in the future or make NFL ones. i give chipz a 3.5 if they had rookies this would be a 5. topps make the same for football please. god bless and have a great last week of summer. What are the actual size in mm for these? I have some that I would like to put in Poker Chip Holders. This is a cool product because it’s possible to put together a true master set. Why is there a picture of a Matt Kemp bat relic chip when Matt Kemp isn’t listed on the relic checklist??? 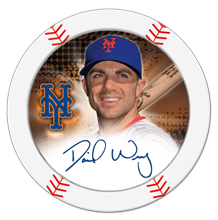 Brad � That was the checklist provided by Topps. 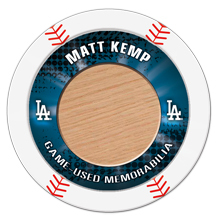 Kemp does have a relic and it has been updated to reflect that. My son just pulled a Todd Frazier Autograph #’d to 25! I don’t see this chip in the checklist. How many chipz are out there not listed on the checklist? Topps needs to update the checklist. I have seen Will Middlebrooks autograph chip on Ebay but that chip isn’t listed on the checklist. Topps really needs to get their act together.